Along with many other people, I do enjoy Simcha Fisher's writing. She is a fine example of the thoroughly modern orthodox Catholic woman: witheringly sceptical about feminism but also a woman to steer clear of if you have any thought of patronising women. If we're old enough to be choosing our own outfits, then we're old enough to choose something that doesn't look like it was dreamed up by a twelve-year-old boy who doesn't have a reliable father figure in the home.See: Why I'm Wearing This. 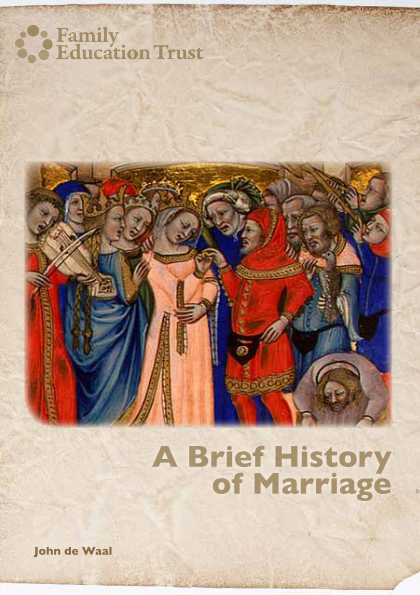 In twelve short chapters, experienced educator John de Waal traces the history of marriage from the ancient world of Egypt, Greece and Rome down to the present day. Along the way, he interacts with the disciplines of literature, theology, philosophy, psychology, politics and sociology in clear and accessible prose. Wide-ranging and varied in style, A Brief History of Marriage includes references to marriage customs, laws and policies through the ages, alongside extracts from love letters and quaint and homely tips given to husbands and wives in bygone days. At St George's Cathedral last night, Auntie Joanna was invested as a Dame of the Pontifical Equestrian Order of St Gregory the Great, founded by Pope Gregory XVI in 1831. Mgr Keith Newton celebrated Mass and Archbishop Peter Smith presented the decoration. Fr Stephen Langridge of the Vocations Centre preached an excellent sermon. Aid to the Church in Need recommended Joanna for the Order but Joanna's charitable and campaigning work extends far and wide over many years and through a wide variety of apostolic works and organisations. It was a lovely occasion and a great opportunity to meet up with many friends in the Amigo Hall afterwards. At one point there was a bit of a John Fisher Old Boys Reunion - "old" being the operative word since we are all, ahem, getting more "senior" now. A different Italian bishop: "Try this older Liturgy for yourselves!" 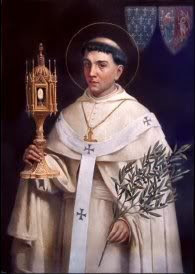 Fr Z has the translated text of a great sermon by the Most Rev Luigi Negri, Archbishop of Ferrara-Comacchio at a Mass according to the usus antiquior which he celebrated at the Marian shrine of Poggetto. 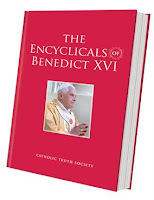 He says that Pope Benedict "overcame that spurious distinction between “old” and “new” which is made by the followers of the hermeneutic of discontinuity" but there is so much good sense in this sermon concerning the place of the usus antiquior that I encourage you to read it all. The people of his diocese are fortunate indeed to have such a Bishop. 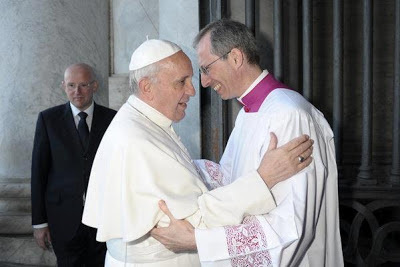 Anti-trad Italian Bishops call for Marini to be sacked. Pope Francis says no. As was also rightly commented, there is another important point in the episode worth noting, as well as the Holy Father's insistence that we should treasure tradition: some of the Italian Bishops have been putting pressure on the Holy Father to sack Mgr Guido Marini. He has refused, saying that he wants to benefit from Mgr Marini's traditional formation and to allow Mgr Marini also to be formed by him. Pope Francis rejects attack on old rite and says "treasure tradition"
This day in 1965, Arundel and Brighton was erected as a Diocese and Southwark was elevated to a Metropolitan See. Congratulations to all my friends in Arundel and Brighton. Perhaps a glass of Prosecco might be allowed as that seems to be the celebratory drink of choice in many Catholic circles nowadays. A&B used to be known as the "gin & jag" diocese but a priest friend of mine suggested some years ago that it should be updated to "real ale & Range Rover." What would it be today? When the diocese was formed, the rule was that priests became part of A&B if they were stationed in the territory on the day the diocese came into being. I remember older priests telling me of manoeuvres to get into one or other diocese before the guillotine came down. 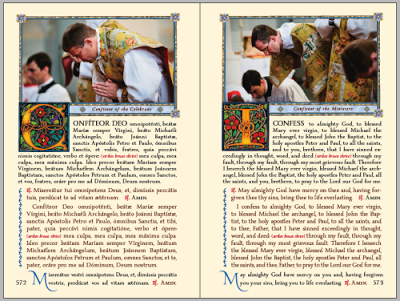 The book could be described as a celebration of the glory of the usus antiquior, a labour of love for tradition and beauty in the Sacred Liturgy. In the age of the Kindle, people often say that they like the feel of a real book and I reply that I do like real books but could not care much for glued paperbacks. This is a real book of fine quality: lovely to see such books still being made. Our Lady, the Divine Mercy and the Popes of the Marian Era from Blessed Pius IX to Benedict XVI. The absurdly high expense of many weddings is not only unnecessary but actually a contributing factor to the breakdown of marriages. 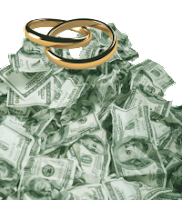 The press and many couples often unfairly cite "Church fees" as a reason for not getting married in Church. In fact, as the Guardian list shows, fees associated with the Church are dwarfed by, for example, the fee you would pay a professional photographer, let alone the cost for "food and drink": the reception is always by far the greatest expense. "If they have done it because they want to go to heaven, well those who murder will never smell heaven." Always a rewarding and enriching experience. I go to the Good Counsel Network's London centre now and again to give Benediction at the end of the working day. I was there on Wednesday but my mention of my visit was overshadowed by the murder that happened in Woolwich, so I wanted to follow up on the Good Counsel Network. The Blessed Sacrament is exposed in the basement chapel during the day and constant prayer is offered up as a part of their work while others are upstairs counselling and giving women the opportunity to keep their child rather than have an abortion. A recent development is that they now have a scanner which makes it possible for mothers to see that their baby is in fact a baby and not a blob of jelly. In this case, however, there is a particular point that is worth following up (and will be the subject of a future Catholic Dilemma.) If the priest is bad, does that affect the validity of the Mass or of the sacrament that he ministers? People do often get confused on this matter. The Catholic Truth Society has just released its new selection of pamphlets which are, as ever, a great service to the Church and especially to those who wish to learn more about their faith, and grow in their spiritual life. The CTS takes seriously its role as "Publishers to the Holy See" and has always made available printed texts of the teaching of the Popes. 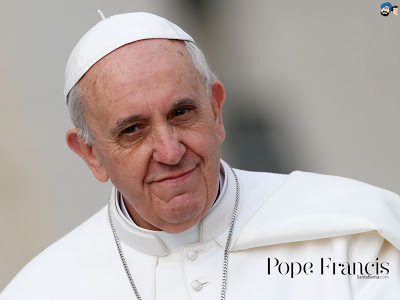 Thus there is a new pamphlet with the First Addresses of Pope Francis. Nowadays, of course, many people read these on the internet long before they are printed but they serve two purposes: first to make the texts available to those who do not use the internet or have not yet realised what a wealth of Catholic material is available, and secondly for anyone who wants to carry the texts around in a pocket-sized format for reading at leisure. 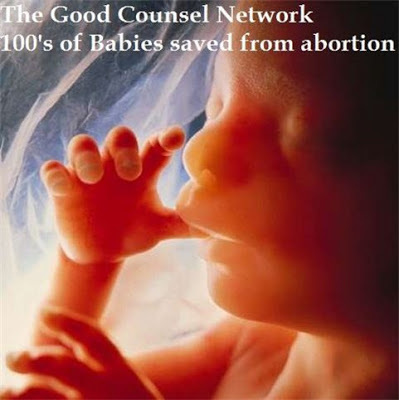 This evening I was in London to give Benediction at the chapel of the Good Counsel Network which does so much good work in saving the lives of unborn children and helping their mothers to live with dignity, knowing that there are people who genuinely care for them and will give practical assistance. To avoid the rush hour, I stopped for a bite to eat near Charing Cross and after getting home and tidying up a bit of work at the desk, I allowed myself a look at the social media. So I was confronted by the ghastly breaking news of a soldier from the Royal Artillery Barracks being hacked to death by muslim extremists in nearby Woolwich. Quite understandably there are some very angry comments flying around. Certainly I will make a memento for the poor man tomorrow at Mass - requiescat in pace - but I am also praying hard that this will not set off another cycle of violence locally. May God preserve us! Recently we have learned that priests are human and can commit serious sins. What is the priest supposed to do if he has to say mass (and receive Communion) without being able to go to confession? 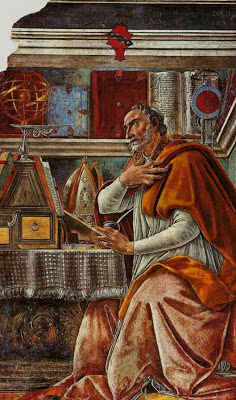 St Ambrose, St John Chrysostom, and many writers since them, have given sobering advice to priests on the damage that is done by their sins. One of the most important works of the Council of Trent was the reform of the education and life of the clergy; it would be a fair historical judgement to say that it achieved a measure of success. In recent years of course, we have been saddened by the scandal of priests committing horrendous sins. These should remind us that sinning does not make a man more human but less human. Our Lady did not commit a single sin during her life and she was the most “human” person that ever lived. Denials are always difficult in public relations. Today's big denial from the Vatican is to say that the Holy Father did not carry out an exorcism. More or less every major news outlet seems to be carrying the story of the non-exorcism: after all, exorcism, even if it didn't happen, is a subject which is exciting for many people. The Shrine of Aylesford in Kent is used by the Archdiocese of Southwark for some big events, it is a place of local pilgrimage for the Union of Catholic Mothers, the Knights of St Columba and other excellent Catholic organisations. Still I feel that it is not given the prominence that it should have. Aylesford was confiscated by Henry VIII and became a private house for several centuries before being bought back by the Carmelites in 1949 when it came on the market. The Carmelites, including the saintly Fr Malachy Lynch raised money for its purchase and fine renovation in what could justly be included in the New Liturgical Movement's "other modern" category. It is refreshing to see a senior ecclesiastic make a plain and obvious response to a scandalous action by a Catholic College. Boston College is a Jesuit run university, though you don't actually find that out from their About page. They have invited Enda Kenny, Taoiseach of the Irish Republic, to receive an honorary degree. Enda Kenny has aggressively promoted abortion legislation. Cardinal O'Malley was invited to join the celebrations. He has refused because of the confusion, disappointment and harm caused by this disgraceful act by the university. 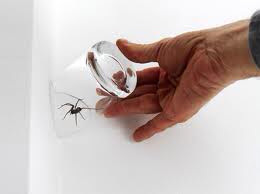 "Mummy, the problem with being a religious sister is... WHO catches the spiders? "You see: at home it is normally Daddy. A couple of weeks ago, one of the families of my parish was missing for the weekend. This was not a case of football, dancing or a taekwando competition but an event organised by the Latin Mass Society for families. As a parish priest on my own in the parish, I cannot get to these wonderful weekend events but I am glad when my parishioners take advantage of them. I was impressed by Joe Shaw's appeal to people who do not have any affiliation with the older form of the Mass to come along anyway to see what is on offer. I would endorse that encouragement for good Catholic families. I enjoyed seeing one of my altar servers assisting the great Fr Hunwicke. On Twitter today I found this fun parody of Dan Brown by Michael Deacon: Don’t make fun of renowned Dan Brown. 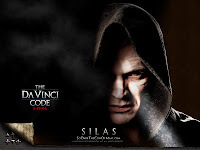 Ages ago, when The Da Vinci Code was popular, I published my notes on Answering the Da Vinci Code. I was mainly concerned with the inaccuracies in Brown's portrayal of the Catholic Church. Renowned author Dan Brown gazed admiringly at the pulchritudinous brunette’s blonde tresses, flowing from her head like a stream but made from hair instead of water and without any fish in. The whole thing is a hoot. Do have a look. I'm trying to be good and post some real entries on Twitter and Facebook but also like to get blogposts put up automatically. I have been using twitterfeed but that seems not to be working with FB so after a brief google search, I have gone over to dlvr.it which looks good with stats and stuff. Will also go and do some real person updates just to show willing. A friend was recently talking to me about “meditation”: I thought this was some sort of Eastern pagan practice but apparently there is a Christian version. Would this be useful to me? Many forms of meditation are today promoted as practices that might be “useful” by helping you to be in touch with your inner self, have peace, and be healthy, balanced and whole. Unfortunately many of them do have pagan associations and seek to align your chakras, be at one with a world spirit, or balance your yin and yang. I would advise you to avoid techniques billed as tantric, karmic, or yogic, or anything that involves a stranger massaging your head. My not very convincing imitation of The Vortex next to the man himself. Thanks to the Clovis family I had the opportunity for a good chat over lunch with Michael Voris of Church Militant TV along with Fr Briggs, a certain incisive online commenter, and other good friends. It has been quite a weekend. Blackfen has been hosting the Conference of the Catholic Medical Association and I went hotfoot from there for a late lunch before returning for the evening Mass. I just enjoyed watching one of the latest of Michael's short programmes. It is the "Boretex" in which he extols the Church of Nice and the importance of not being divisive or offending anyone. A bit of a tall order, speaking to Catholic medics on "Answering Hard Questions." After all, medics can throw some of the most difficult moral conundrums concerning material co-operation in evil. This weekend, the Catholic Medical Association are meeting in my parish for their annual conference. Although there are a few old friends, I am always delighted that at these occasions I get to meet many people I have never come across before, all working hard in their own fields and trying to bring their Catholic faith to bear in their professional work. It is a great privilege to be able to host such a conference in my parish and many thanks to the Treloars for organising it. My talk was essentially the same as the one I gave last year for a day for catechists for the Southwark Diocese. If you want to see the materials, there are links at the post Answering Hard Questions. A mummified cat. This is to be found in the Beaney House of Art and Knowledge in Canterbury which displays items from some of the first professional archaeologists to excavate in Egypt. Now who says I'm not a cat lover? Earlier this week on a beautifully sunny day, Fr Briggs and I were able to take a couple of hours off in the afternoon to have lunch at the Trafalagar in Greenwich, courtesy of a kind friend, and to take a walk up and down Greenwich Park, now more or less recovered from the Olympics. We also saw with some degree of horror what has been done to the Cutty Sark. ... but you can't take the Croydon out of the man. It is hard to contain my emotion at this film noir tribute to the town where I grew up. It is the best Croydon ballad since Captain Sensible. It is also a promo for a film called Limbo which is actually about purgatory, where purgatory is in fact Croydon. I dare not recommend the film but I did enjoy some of the lines in the trailer. The tram didn't exist in my youth, but it has essentially taken over much of the railway which used to run from Elmers End through Bingham Road and on to Sanderstead. The bridges were knocked down and a new line built with level crossings. Such determined serial modernising futility sums up a lot of Croydon's post-war history and has a charm all of its own. I actually saw one office block on Wellesley Road built and later demolished during the course of my schooldays. It really is time I made a pilgrimage to Croydon to see how everything has improved. Father Charles Johnson of the US Navy Chaplain Corps celebrates the traditional Latin Mass for the troops in Afghanistan. His intention is for the souls enrolled in the Rorate Caeli Purgatorial Society, as Rorate Caeli reports. Let us take a moment to offer a prayer for the holy souls, but also for the troops serving in Afghanistan. In any battle, there are a few who take the fight to the enemy while many watch and follow if they think it is safe enough. Military metaphors have their limits of course, but I think that in the culture wars we are engaged in, we should recognise those who take the lead. Above you can view a video of Ryan Anderson taking on Piers Morgan on the question of the redefinition of marriage. Under intense fire, he keeps his cool and keeps moving forward. Bishop Egan, Canon Ruscillo, and George Weigel are speaking at a Day of Faith at St Patrick's, Soho Square, organised by the Faith Movement on Tuesday 18 June. Traditionally, the Faith Movement has worked with young people and has, through our Magazine and pamphlets, offered contributions to catechesis and theological debate within the household of the faith, especially concerning science and religion. One area which we have wanted to improve on is providing opportunities for mature lay Catholics to learn about our apostolate and benefit from the enthusiastic promotion of orthodox Catholic teaching. To that end, Joanna Bogle has taken on the responsibility for organising a Day of Faith which is open to all.